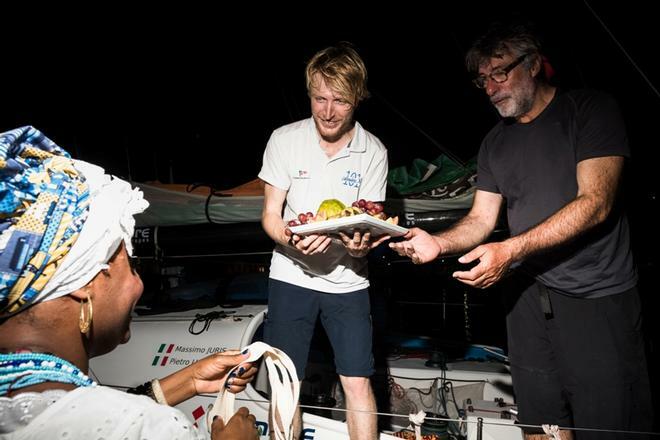 Amateur in the technical not the perjorative sense, because Juris, the 61-year-old maritime industry manager from Milan, and his regular collaborator, Luciani, the 32-year-old architect from Venice, handled their first Transat Jacques Vabre with great skill and showed consistent speed. 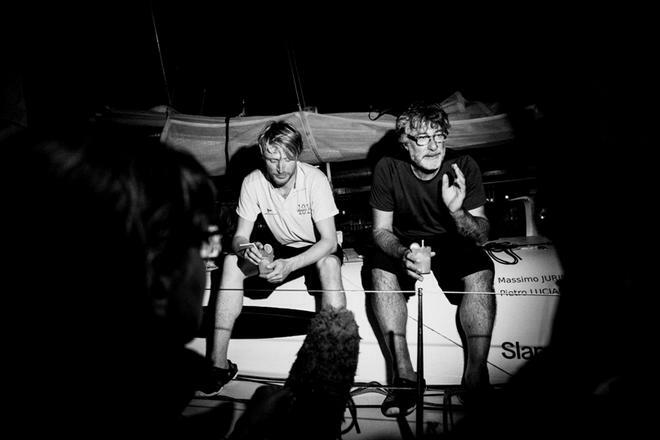 The Transat Jacques Vabre has four classes, but within each of the fleets the battle lines are drawn between the generations of boat – those are competitive edges being talked about around the crews on the pontoons of Le Havre. By any measure, Colombre XL definitely won its class. 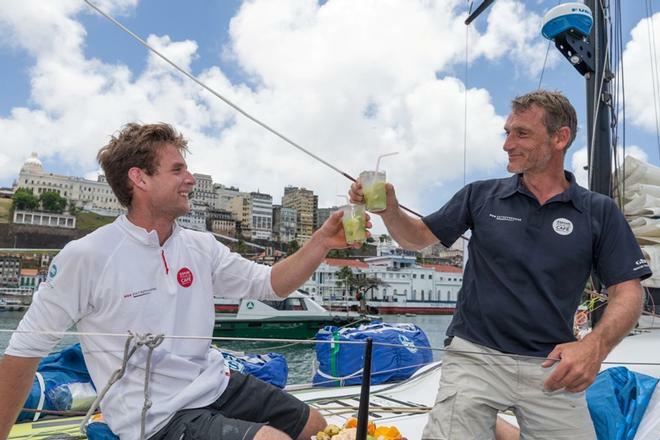 The Anglo-Spanish duo of Phil Sharp and Pablo Santurde almost defied gravity by beating the two Manuard Mach 3 that caught him in the final straight to Salvador. 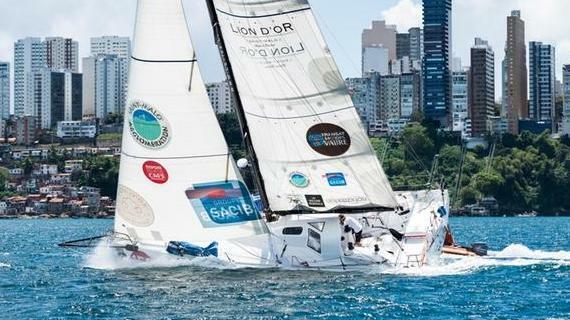 And Juris and Luciani have equally over-performed in their Pogo 40 S2Finot-Conq-designed boat, built in 2011 for a budget well below the Manuard Mach 40 and Verdier Tizh 40’s around them. 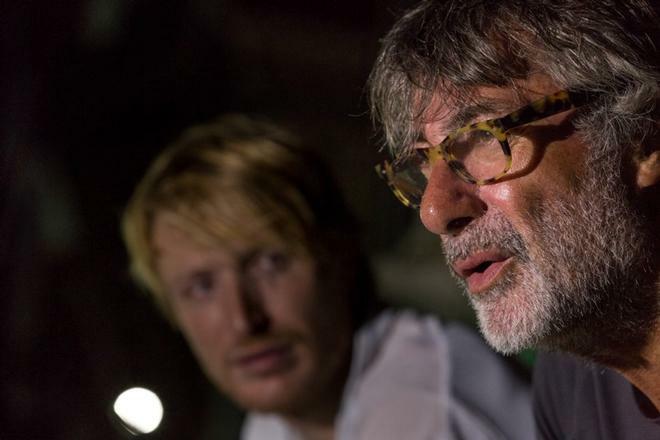 Juris, a former member of the Italian Olympic team (Finn class), and Luciani were always in the hunt. After a cautious start in the cold front, they moved into sixth place on November 10th, and never let go of it. As those ahead got stuck in the Doldrums, Colombre XL closed to within 50 miles. But having made a significant western shift as they entered, the duo lost too much ground on the front five to challenge in the final stretch. In truth, their boat would not have had the pace. 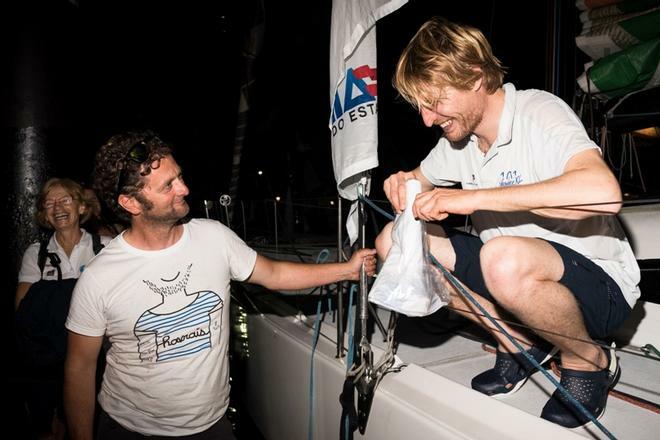 Reaching in the south-east trade wind, as they approached the coast of Brazil they has re-aligned themselves far behind TeamWork40 and Région Normandie Junior Senior by Evernex. 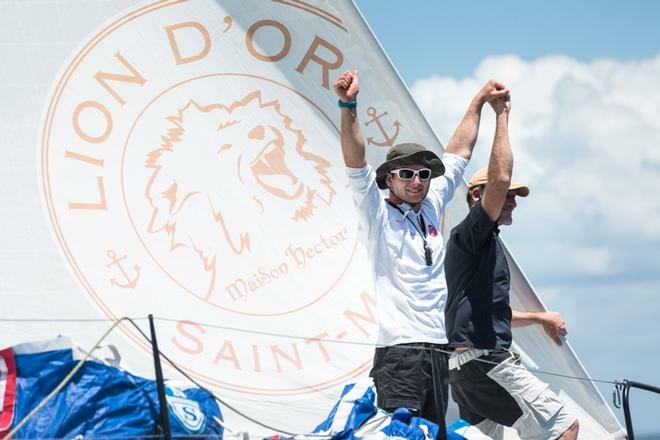 They held off any potential challenge from the other amateur rookies behind them, Tom Laperche and Christophe Bachmann on Le Lion d’Or, who finished eight hours later in seventh. 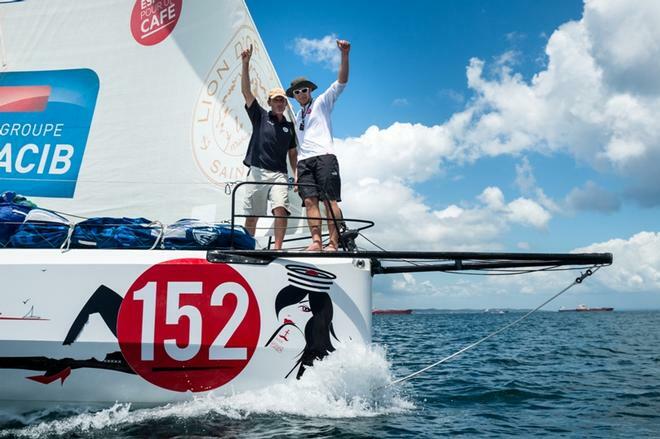 Laperche, a 20-year-old student, and Bachmann, a 48-year-old architect were racing on a brand new Verdier Tizh 40 but have considerably less experience than Juris and Luciani. 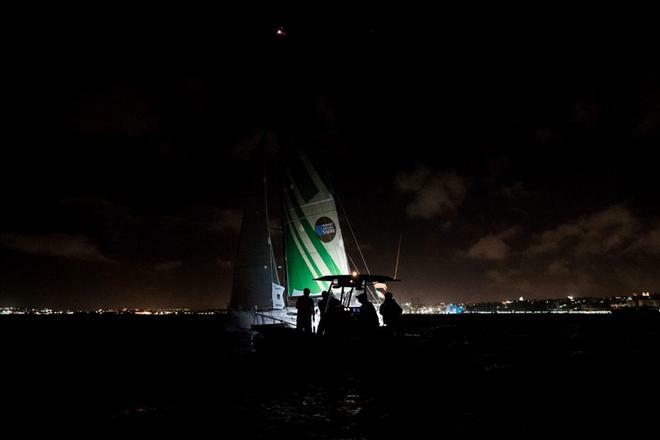 There are five boats still racing, who among other professions include a neuroradiologist and a stomatologist.